Leslie Knope once said, “guys love it when you can show them you’re better than they are at something they love.” Like Leslie, women all over the world are proving that they are capable of doing everything men can do and more. International Women’s Day has been celebrated every March 8th all over the world since 1914. This day is celebrated so that we can honor, respect, appreciate, and love women while also praising the political, social, and economic achievements made by women everywhere! Bryan College Station is home to many incredible, hard-working women who all made a name for themselves in different industries across the community. I was lucky enough to meet and chat with four of the myriad of dedicated women who serve our community on a daily basis and share their stories with the rest of BCS! Right off of Texas Highway 6 in Bryan, Texas lies Messina Hof Winey & Resort. 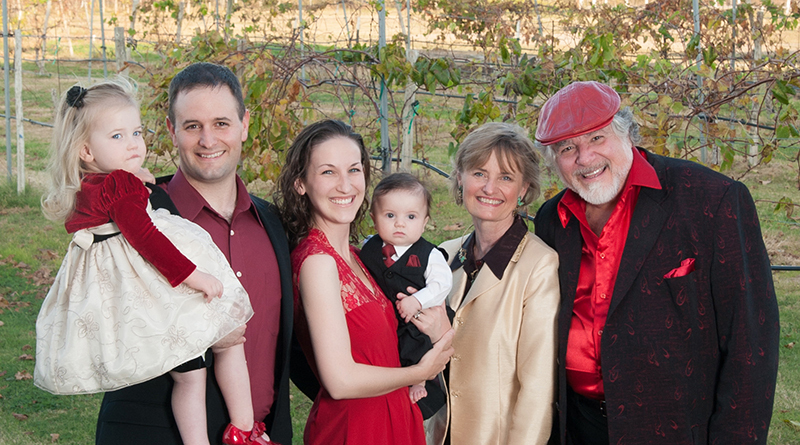 Founded by Paul and Merrill Bonarrigo in 1977, Messina Hof has grown tremendously and become one of the most well-known wineries in all of Texas. 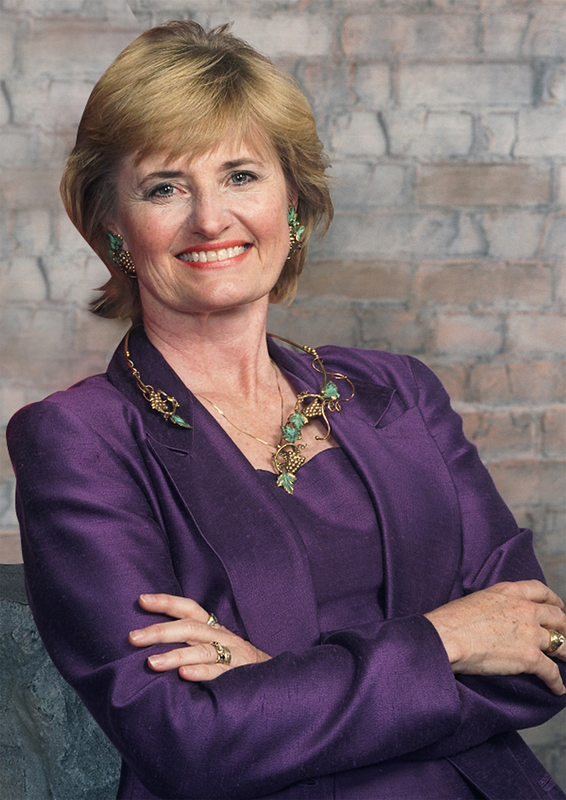 In the midst of lemon-squeezing, I got to sit down and talk to Merrill Bonarrigo, a Bryan native, about the family legacy she co-founded, how she got to where she is today, and of course, wine! I was not raised in a wine cultured family and most of the Brazos valley was not wine cultured when I grew up either. After I graduated from A&M and got married, my husband and I both wanted to live in the country. We liked the idea of being outdoors and being able to garden, so we found this piece of property. At the time, my husband was a physical therapist and I was in working in the real estate industry. Later, he had a patient who was a graduate student at Texas A&M who was working on his dissertation in grape feasibility in Texas. They got to talking about his work in grapes, he came from a grape vineyard family in California, and about our love of living in the country and asked what we wanted to do with our land. He suggested that we plant an experimental vineyard for him so that he could get his research, but so that we could also have a vineyard on our property. That was very special because there was one other element to it that had already happened in that time period. We had watched the mini-series “Roots” and got really interested in our heritages, so we looked into them. We learned that Paul’s family was from Messina, Italy and that my family was from Hof, Germany. 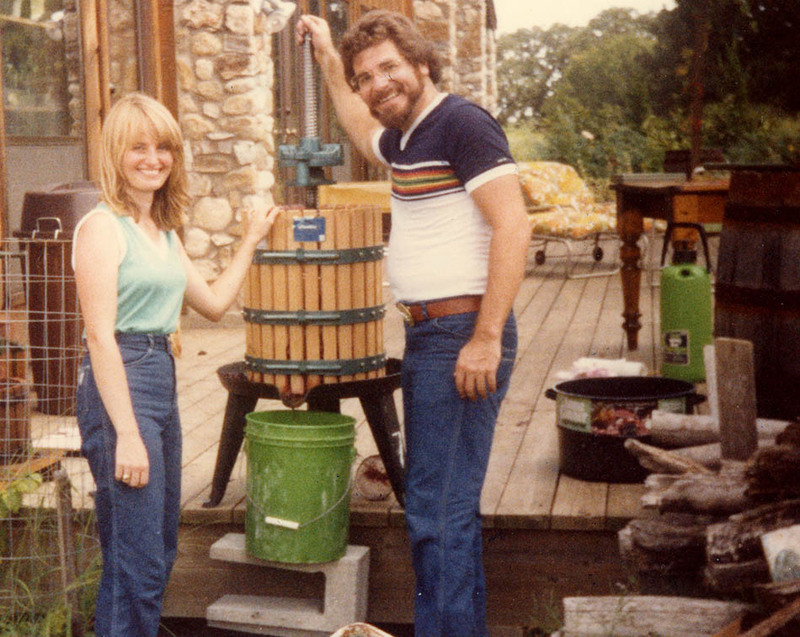 We also learned in our research that Paul’s family had been making wine since the 1800s. 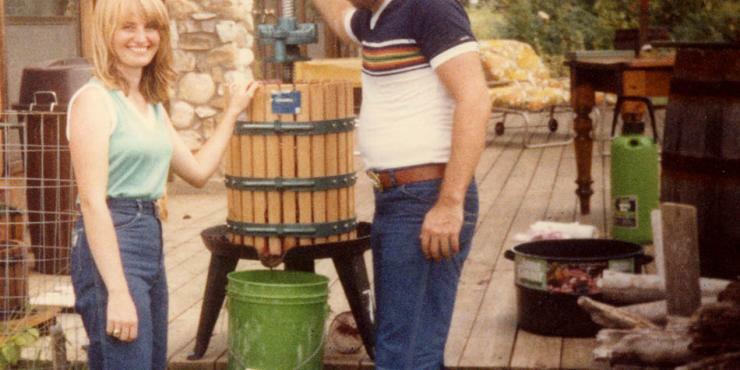 When Paul’s family moved to America, the wine culture they started as an industry was lost for his grandfather and his father, but they continued to make family wine in the cellar, like most Italian families did. So, when we learned that history, everything just came together. We thought “we could plant a vineyard and start making wine like the Italian families did.” So, that’s really how we got interested in wine-making and viticulture. 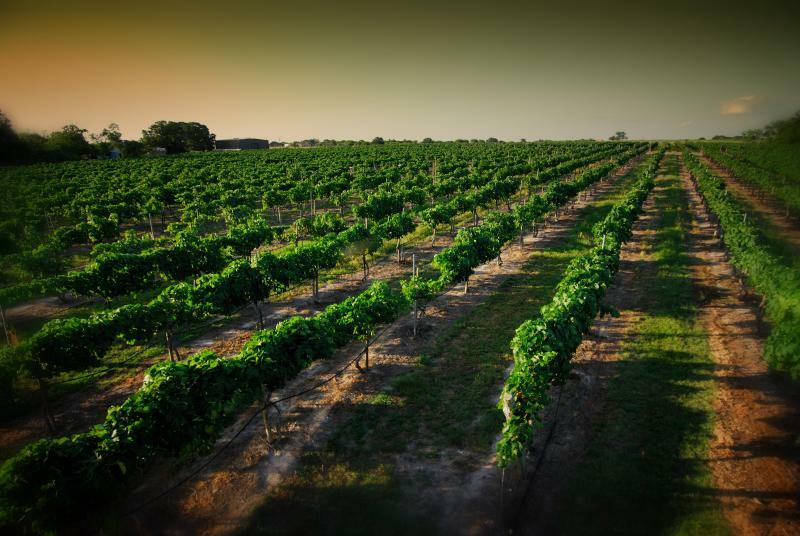 When we started in 1977, there were three wineries open at the time in Texas, today there are over 380 wineries in the state of Texas and as it grew, we got to grow with it. What’s your favorite Messina Hof wine? Non Messina Hof wine? It’s so hard to pick one because they’re all like my children. Each wine is distinctively different and each has its own story to tell, but very good in its own way. But, it all depends on the moment. If I’m sharing a special moment, depends on the time of the day, depends on what I’m eating…one of the blessings of having a winery is that I can go and choose any wine that I want to with my meal or pick what is appealing to me that day. The other part is that wine is a living thing, it actually changes in the bottle, so as it ages, it gets better and better. Regarding non Messina Hof wine, there are a lot of good wines out there and we do taste wines frequently so we can keep our palettes attuned to the market place. Sentimentally, a Château Lafite Rothschild would be my favorite non Messina Hof wine because that’s the wine that my husband and I shared on our honeymoon when we got married. That was sort of the beginning of the love affair with wine and that particular bottle was very special and vintage. He had purchased it and had laid it down and saved it for that special moment. What is your favorite event that Messina Hof puts on? I would have to say the Harvest Festival. I love the Harvest Festival because it’s the beginning of the season. It represents new hope and new opportunity. You don’t know what this fruit will bring and everybody comes together for the festival. It’s a very communal and family oriented event. We all pick the grapes, get to see the processing, and then watch that wine develop as it takes on a new personality. It’s just very exciting! How does it feel working with your family? I feel very blessed to be able to work with them. I feel thankful to have a son and a daughter-in-law because it really takes both of them. It’s a 24/7 business! To have support from your family and to know that they have a passion for what we’ve done and a respect for the legacy that it can create for them and for their children is incredible. There’s nothing more satisfying and fulfilling than to see all of our work passed on to the next generation who have a love for what we started. We’re very fortunate to have been working together for 6 years now. Do you ever get tired of talking about wine? No, it is a part of who I am! I have lived it for 39 years and every season is just as exciting as the last. You take care of this vine from the start, then you get the fruit, later you’re making something from it, and before you know it you’re tasting it now and then you’re tasting it in 10 years! You’re watching it evolve, mature, and develop into something amazing. Wine is ever-discovering and there’s always something new to share! “We are the Aggies, the Aggies are we.” Today, there are Aggies scattered all over the world spreading the word of our sacred university. However, there’s one Aggie who works endlessly to connect Aggies together one more time for luxurious trips across the globe. Jennifer Bohac is the Director of Travel Programs for the Association of Former Students and she is the ultimate travel junkie. I caught her just before she embarked on her trip to Africa, so we could talk about her two favorite things: going on adventures and being with her fellow Aggies! How does it feel serving the Aggie family on a daily basis? It is a huge honor and pleasure. Being an Aggie I feel like I get to work with my family on a daily basis. Taking Aggies all over the world is incredible, but a responsibility that I don’t take lightly. Aggies are entrusting us with their vacations and we want them to have a trip of a lifetime each and every trip. I love getting to show Aggies the world. They have high expectations and we strive to match or exceed their expectations. Other than Bryan College Station, where has been your favorite place you’ve traveled to? My favorite trip is always the next one planned or the one I just returned from. All trips are wonderful and it’s usually the people I travel with that make the trip. However, I do love exotic and unusual trips. I am en route to Tanzania, East Africa right now – this will be my 20th time to do a safari in East Africa. I am as excited for this trip as I was my first, it is a very special place. I also love Antarctica, India, Cuba, Egypt, Israel, Vietnam, Myanmar, South Africa, and the list goes on. There is always something new to see and learn at every destination. What was the biggest challenge you’ve encountered while coordinating a trip for Aggies? Too many places and not enough time! The world is constantly changing and therefore travel is changing. One of the biggest challenges these days is due to the terror and attacks going on all over the world. How the media focus on the negativity and the perception that it brings makes people afraid of traveling. Unfortunately, the economy has a big impact on travel as well and when it’s down people tend to stay home. Thus, finding destinations and trips that will be perceived as safe while providing our travelers with a fabulous experience can be a challenge. If you could talk to one woman from any time period of history, who would it be and why? Wow – there are so many incredible women that have done so much and made such an impact. A few come to mind that I have enjoyed learning about, but also had the pleasure of visiting the places they had an impact on or lived at. Josephine Bonaparte, Catherine the Great, Karen Blixen, Anne Frank, Helen Keller, and Mother Theresa are a few of the women who have made an impact on so much history. Each saw and did so much during their time here on Earth. What advice do you have for young women who wish to join the hospitality industry? Be patient, the perfect job is out there but it takes time and experience to get there. Work hard, there is no substitute for hard work and effort – you must give your best each and every day. Have a positive attitude. Each day is a gift, treat it as such. Attitude is everything! Be you, don’t pretend to be someone or something you are not. You have one life, live it to the fullest. Have fun and enjoy life! “Anything you can do, I can do too.” Those eight simple yet powerful words can sum up my interview with the Recreation Manager, Ashley Bennett. 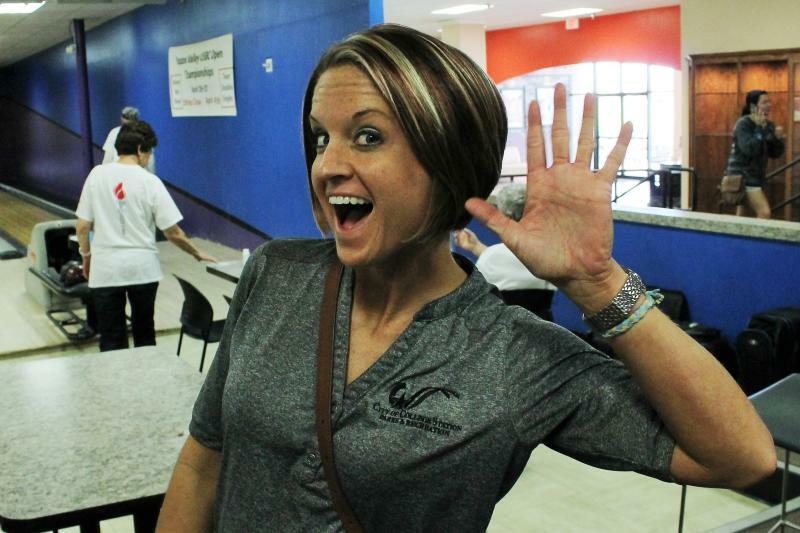 Ashley is the only female manager at the Bryan Parks and Recreation department and when she’s not taking her son to basketball, football, track, or soccer practice, she’s planning incredible recreational events for the city of Bryan. I had the pleasure of talking to her about all of the wonderful things that the Bryan Parks and Recreation Department has to offer their community. How did you end up at the Bryan Parks and Recreation department? I worked for the YMCA for 10 years prior to working here, so when my husband and I first moved to Bryan I was looking for something similar to my last position. I came across a job with the Bryan Parks and Recreation Department and they brought me in as a recreation programmer to organize, plan, and manage the budget for youth camps and to start special programs. Year after year I just grew into the position that I have now. What is your favorite event that the Parks and Recreation Department is a part of? The first is Holiday Magic, our big annual Christmas event, and it is such an amazing event. It always falls on the Thursday after Thanksgiving and since I’ve been here, Holiday Magic has grown from having around 200 people show up to having 6000 people show up. To be able to see the joy on people’s faces and knowing that sometimes Holiday Magic is the only Christmas for some people in the community, we really try to go all out. We bring in the snow, have pictures with Santa, and provide free entertainment for the whole family. It’s just a fun event that really puts you in the Christmas spirit. My second favorite event is our family campout. It is an event that I brought to the community around 10 years ago. The campout is a fun event because it was geared to get people outside and to teach people how to camp. It’s just one night and it’s held right at Austin’s Colony. Since it’s not too far people can come to it and go home the next day! It’s just really fun to watch people unplug. The first hour or so everyone’s looking for electricity and itching to be on their phone, but once they finally relax and just enjoy being outside, it just becomes so much fun. What is something that the Parks and Recreation department offers but you feel the community doesn’t really know about? Our programs! People don’t really realize what all we offer. We have summer camps, amazing aquatic programs, and a variety of classes. Some of our new classes are culinary, karate, and dog obedience. All of those classes that we’re starting in our recreational programs are starting to catch on, but not everyone really knows about them. How does it feel to work amongst mostly men? The majority of our managers/supervisors are male. I am the only female manager. I grew up with guy friends, so it never bothered me that the other managers are all males. I don’t mind going toe to toe with them if I have to. I recognize that there are some things that I physically cannot do, but the people that I work with do a really good job of respecting me. They know I’m a hard worker and they know I can do what I need to do to get done, and I think we all work really well together. What advice do you have for young women who wish to join the world of hospitality or the Sports industry? Don’t be afraid to work hard. It’s not a normal 9-5 job, it’s a job that requires a lot of hours and a lot of dedication. Be willing to put the time in and be willing to start at ground level and work your way up because you’re going to learn it better at the bottom. So, when you get up into a management position or higher, remember what it took to do those things and you’re going to build your team the way you need to. You prove yourself by your actions, so look for places that will support you. I fully believe that a person’s abilities and actions speak very loudly and should be why people should respect them. Gender shouldn’t matter. It’s what you CAN do. 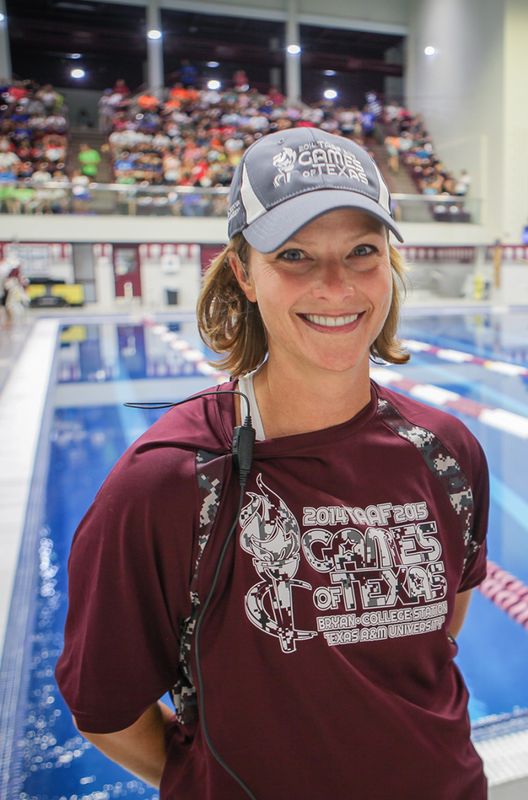 Meet Kelli Nesbitt, the College Station Parks and Recreation Marketing Coordinator, but she calls herself the “parks liaison” for short. 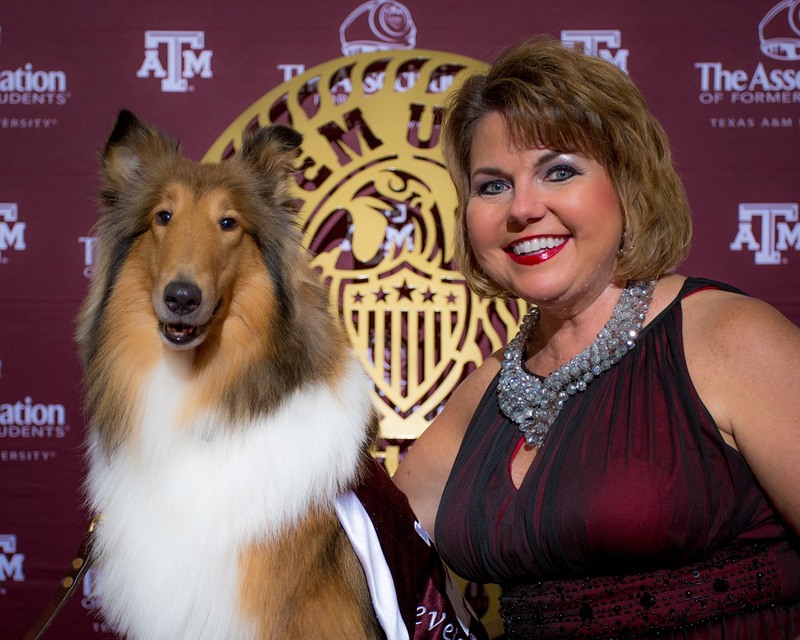 On a daily basis her job is to promote major events, programs, and initiatives for the ever-growing city of College Station. Kelli started off as a Recreation Assistant for the department and eventually volunteered for multiple events and programs the department offered. She later realized that she had fallen in love with the Parks and Recreation department and the rest is history! I always say there is no “typical” day in a Parks and Recreation department. It depends on what season we are currently in or large event or project we have in the works. My job is to coordinate all Parks and Recreation Marketing efforts with our Public Communities Department—I consider myself a parks liaison. I meet constantly with Parks Supervisors to assist them in promoting events, programs, and initiatives. Projects include; seasonal guides, department emails, blogs, signage plans, event/program marketing plans, updating the website, etc. What is your favorite part about working for the Parks and Recreation Department and ultimately the city of College Station? I love the opportunity to promote the quality of life that Parks and Recreation offers to any community. Growing up in College Station and working as a part-time employee for many years has provided me with a unique perspective and view—how lucky am I that I get to help promote programs, parks, and events that I either grew up utilizing or worked in? I love the mission of our department and it’s a privilege to work here. What is it like working in a department that works closely with sports? As a huge competitor and ASA softball player, athletic programs and events are one of my favorite things about the Parks and Recreation Department. Athletics play a huge role in our department and with the sports tourism industry, our department has become a significant economic driver in our community. Are there any challenges you face while working in a male-dominated profession? I grew up with the mentality that I can do whatever I set my mind to, so gender has never been a hindrance for me—even in the workplace. Most women grow up thinking you have to have a certain “attitude” to excel in a male-dominated profession but that is not true. Men and women are different and that’s a fact, but our feminine energy and female point of view can give any profession a unique insight. What advice do you have for young women who wish to join the world of hospitality? Start with a part-time job—what better way to get your foot in the door! Experience is key. Work hard, do more than what is asked, and ASK QUESTIONS! Once you gain the trust of those you work for, they will extend a hand whenever you need it. Especially when applying for jobs! I am so thankful to have met and talked to these dedicated women that serve the Bryan College Station community. If you see them around town, be sure to thank them for everything they do! Today is International Women’s Day, so go out and appreciate all the women in your life! Call your mom and grandma, hug your wives and girlfriends, and don’t steal your older sister’s new shirt, just yet. To all the hard-working women out there: keep on keepin’ on! We thank you, we appreciate you, and we love you.